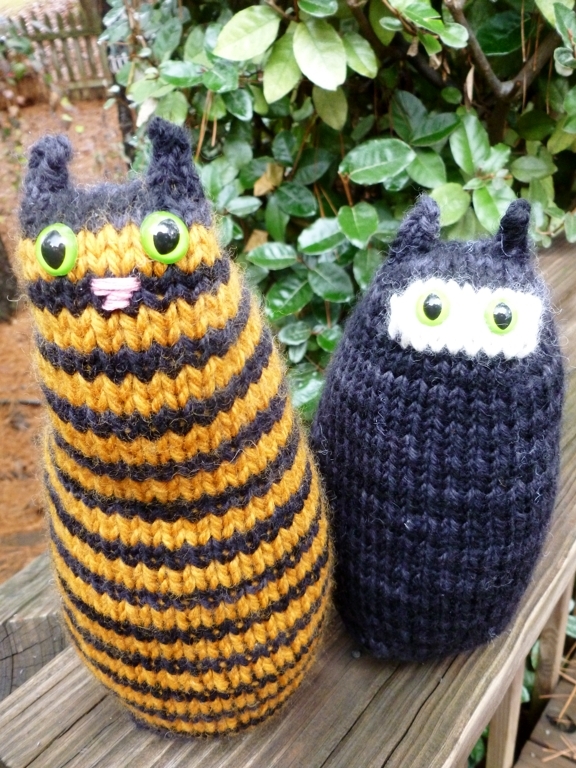 Now that both of these frisky felines have gone to their new homes, I can finally introduce them to you. First up is the daring Ninja Cat with his glowing green eyes and stealthy paws. Second, is the striped and inquisitive Bumblebee. It was hard to let them go since they both looked so cute lounging on the furniture. I knit them both with the same yarns, the same needle, and from the same heavily-modified pattern. The only difference was that I made Bumblebee with stripes. Even though I’ve been knitting for years, I still find it amazing how small changes can drastically affect the finished object. Ninja Cat grew to be short and round while Bumblebee turned out tall and narrow. Both are stuffed with a few pebbles at the bottom to help them sit up. 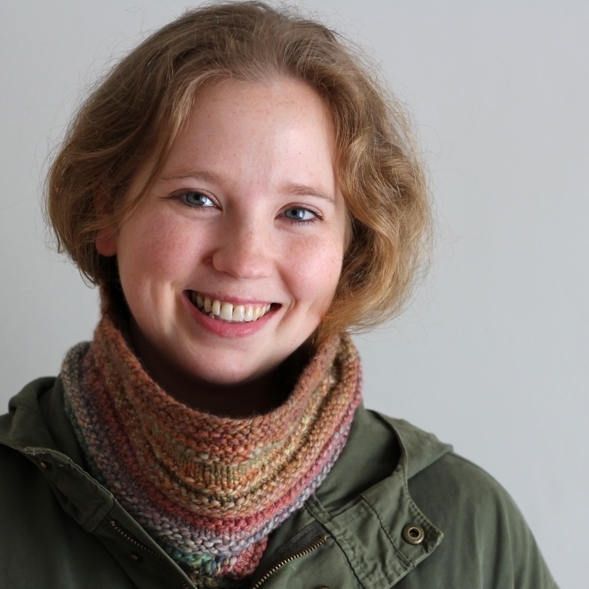 See the pattern, yarns, needle, and modifications on the public Ravelry page. One of the neighborhood cats stopped by for a visit and just had to check out the newcomers. After the initial stare down, Ninja Cat and Bumblebee were deemed worthy of her attention. Then she had a fine time knocking them over. They mostly landed on their feet.